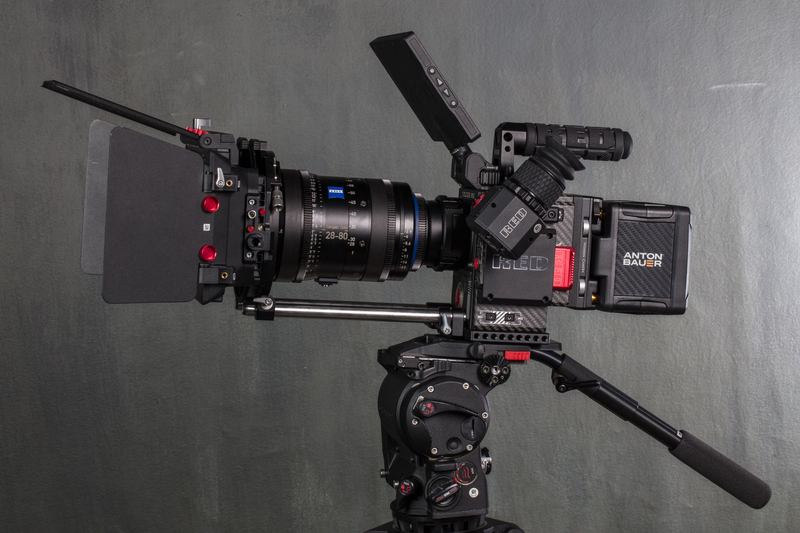 Fully assembled RED Weapon with a Zeiss 28-80, OConnor O-Box, Wooden Easy Riser Baseplate, and OConnor 1030DS tripod kit. To be perfectly honest, this article started purely as an excuse for me to play with a carbon fiber 8K RED Weapon. I figured I’d take it out for a weekend, shoot some footage, melt my computer trying to edit it, write a hands-on review, and be done with it. Gradually, though, I realized that a traditional review of this camera isn’t necessary. This thing is made of woven carbon fiber. The body alone costs $50,000. It shoots resolutions that won’t be natively viewable by most consumers for a decade. What I’m saying is, if you’re considering shooting with this camera and have access to the budget and crew to make that happen, footage of my little walking tour of downtown Memphis probably isn’t going to sway you one way or another. Not one customer has called to ask our creative opinion of the Red Weapon. What people do seem to have questions about, though, is the DSMC2 ecosystem in general. Which OLPFs work with which cameras? Can I use any of my old accessories? What’s the difference between an Epic and a Weapon? Stuff like that. 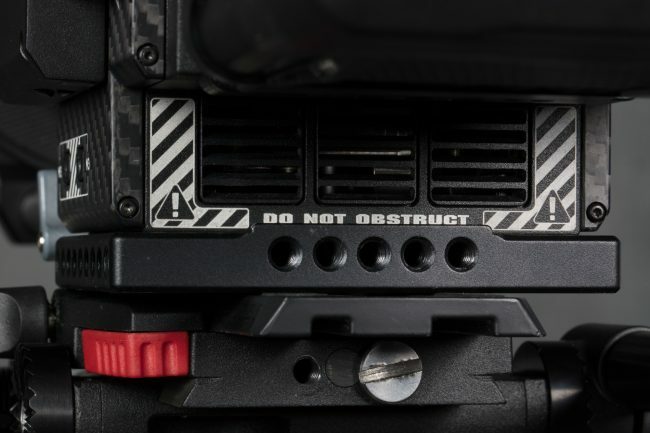 So, what follows are some quick impressions of the 8K Weapon followed by a more in-depth explanation of all the new accessories and compatibility concerns that come with DSMC2 brains. First of all (and this applies to all of the DSMC2 brains, not just the Weapon), the user interface is the same, which is no surprise but still good news. 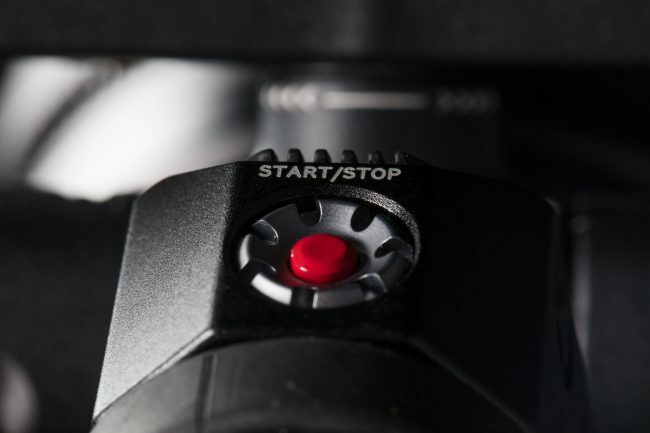 Red and Arri have the best-designed camera menus around. Everything is clearly labeled, easy to find, and never takes more than a few touches to access. It’s always been kind of confounding to me that the more feature-rich and expensive a camera is, the simpler and easier to navigate the menu structure becomes. Good design costs money, though, and I guess professional clients are more demanding in that department than consumers are. 8K resolution, Super 35mm sensor. As happy I am with the menus, I came away pretty disappointed in the design of the camera itself. Red has always favored a military-esque aesthetic that I imagine began as a way to set them apart in the early days of the Red One. A scrappy startup trying to break into the staid cinema market has to have something unique to offer visually as well as technically. The founder of Red, Jim Jannard, who still owns the company but took a less prominent role in 2013, also owns sunglass brand Oakley, so I get it. I understand what they’re going for. There’s a point at which edginess crosses into goofiness, though, and I think this is it. The camera is called a Weapon, it’s painted like the deck of an aircraft carrier, and it’s straight up covered in human skulls. Sure, the way a camera looks is a far lower priority than the footage it produces, but I’d still rather go through customs with an Alexa. She sounds nice. 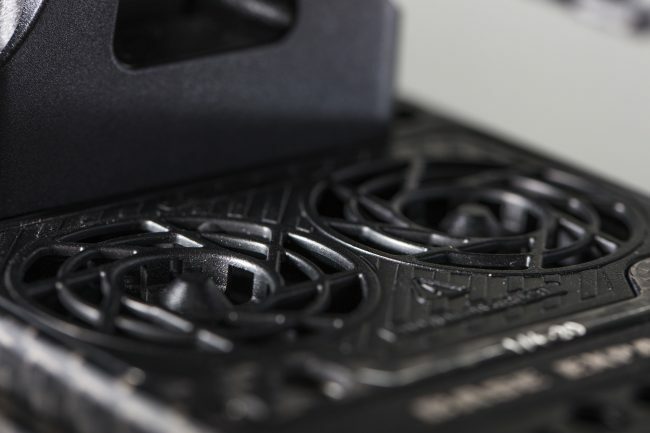 A new vent design helps keep the brain from overheating. Fans bring cool air in from the top of the camera and vent hot air out here. Blocking this port could cause the camera to overheat. Behind these two perforated screens on the front of the camera are a couple of internal microphones. They’re not up to snuff for production use, but it’s great to be able to record a scratch audio track without an external mic. Ultimately, though, footage quality is the most important thing, and by that measure the Weapon is fantastic. 8K may be superfluous as a delivery format, but there are proven benefits to downsampling higher-resolution footage to 4K. Plus, you have the flexibility to re-frame and stabilize in post. 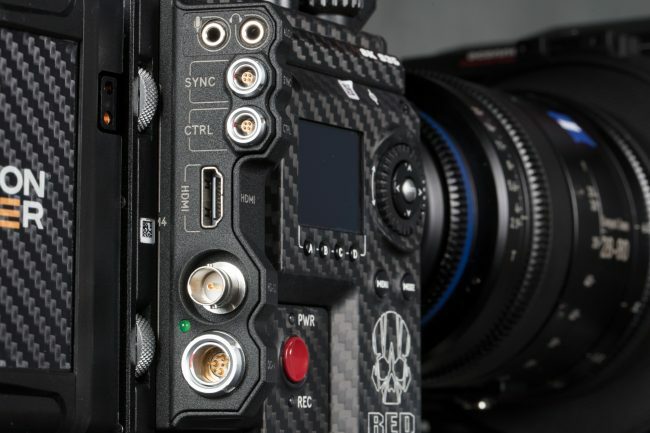 Red’s documentation says you can expect 16.5+ stops of dynamic range with the 8K Weapon sensor. I don’t have the resources to test that claim, but, according to this well-researched News Shooter article, it seems valid. Here’s another view of the full kit, this time from the assistant side. 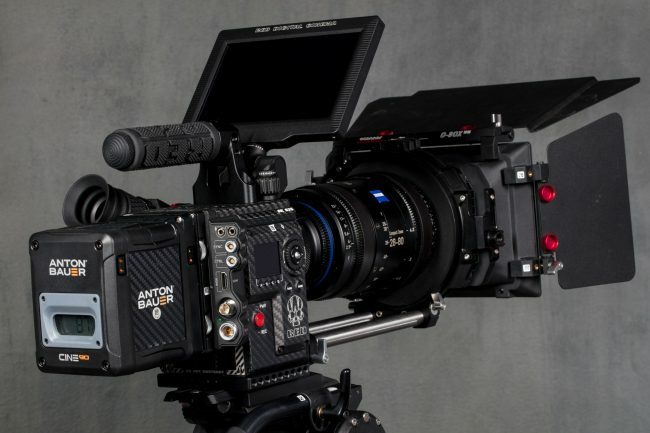 The only differences between the Epic-W and the Weapon (at least the versions with the 8K Helium sensor, the only ones we carry) are build material and processing power. The Epic-W has a magnesium body and a data transfer rate of 275MB/s. The Weapon has a body made of woven carbon fiber and a data transfer rate of 300MB/s. 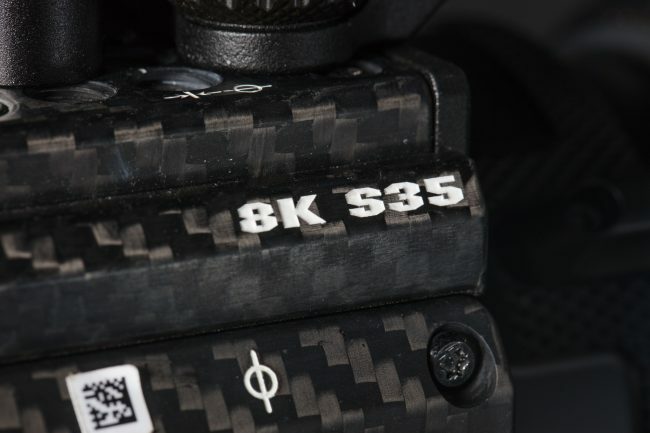 The higher data transfer rate of the Weapon allows you to shoot slightly higher frame rates and lower compression rates than the Epic-W, most notably 60p at full format 8K resolution vs. 30p on the Epic. Beyond that, the contrasts are pretty minimal. The only other significant technical difference between the two is that only the Weapon has an upgrade path to the Helium Vista Vision sensor. So, if we do decide to carry that version, you’ll only see it available in the Weapon body, not the Epic-W.
All of our DSMC2 rentals include a base expander with useful ports like SDI out and DC in. 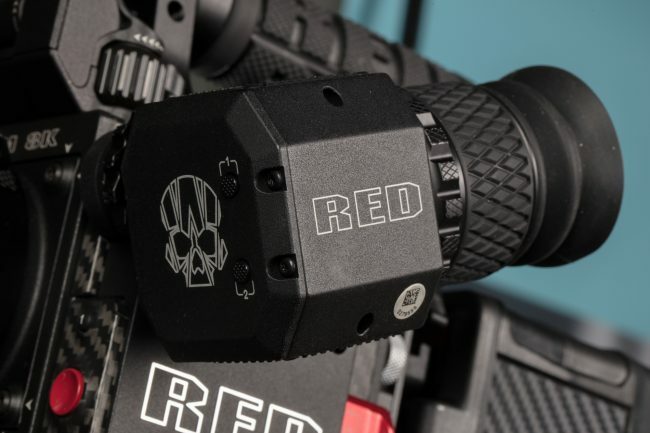 Red is releasing two more DSMC2 brains eventually, the Scarlet-W and the Raven, both of which utilize the older Dragon sensor. I’d think of the Scarlet-W as the bottom rung of their line of “professional” cameras. It has the same general build style as the Epic-W, swappable lens mounts and OLPFs, and an upgrade path to the Weapon. The Raven, on the other hand, feels like it belongs in a separate category. I don’t want to call it a consumer camera because it’s not exactly cheap, but it does cost less than a C300. It also has a fixed EF lens mount, a sensor with a 1.87x crop factor, and no upgrade path to different sensors or processors. I’m not saying this is a bad thing, necessarily. In fact, I’m excited for customers with limited budgets to still have a viable Red option. It’s just that the Raven is intended for a different customer base than the Weapon. Red has this slogan they like to throw around, “Obsolescence Obsolete,” and it’s largely true. 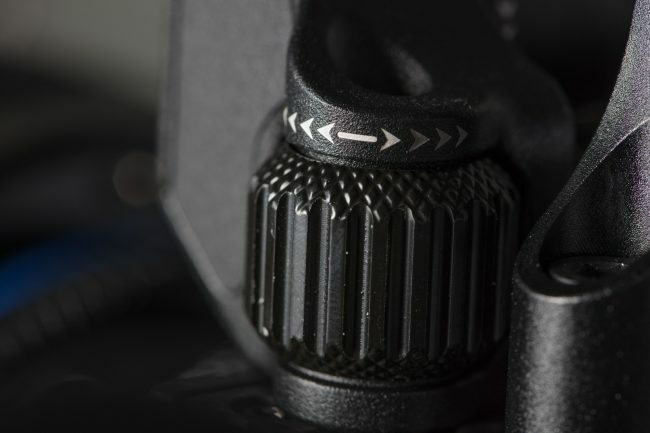 Through modularity and upgrade paths it’s easy to update parts of a camera system piece by piece rather than selling the whole thing and starting over every three years or so. One piece of equipment I’m willing to put in the obsolete column, though, are full-size Redmags. Red still sells them online, but we likely won’t be buying new copies because none of the DSMC2 brains support them. That’s a shame if you’ve invested a lot of money in the older Redmags, but it does make sense from a technical standpoint. The newer mini-mags are smaller, faster, and cheaper, so there’s really not a downside beyond the inconvenience of having to switch. Every DSMC2 brain we rent includes a mini-mag side SSD module. The 1TB mini-mags are bright red, while the 512GB ones are black. 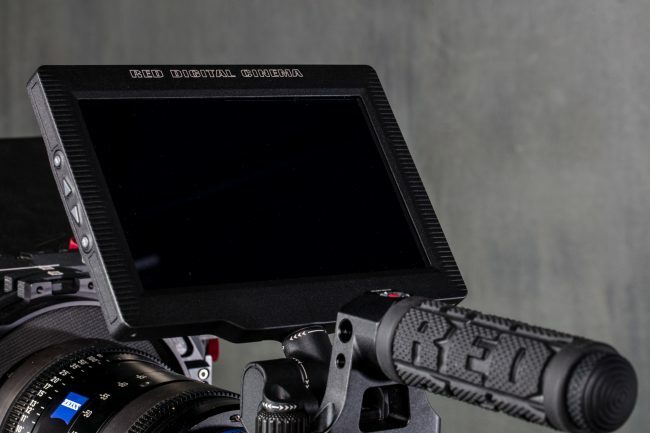 The new DSMC2 monitors and EVFs don’t require a cable, which is, by and large, a good thing. They attach directly to the top or side of a DSMC2 brain, with power and video being transmitted via pins built into the monitor. For the time being, since we still have more of the old monitors than the new ones, we’re including a LEMO adapter A with every DSMC2 rental. This adapter will allow you to use a cabled DSMC1 monitor if need be. We also have a LEMO adapter B available for rent that will allow you to use a DSMC2 monitor with an older Epic or Scarlet brain. Finally, if you need to mount the monitor away from the camera body, we carry three different cables from Wooden Camera that will allow you to do that. This one will run from a DSMC2 brain to a DSMC2 monitor, this one will run from a DSMC1 brain to a DSMC2 monitor, and this one will run from a DSMC2 brain to a DSMC1 monitor. If that’s unclear (it is), or you have any questions, feel free to give us a call. Cable-less monitor attachment really cleans everything up. 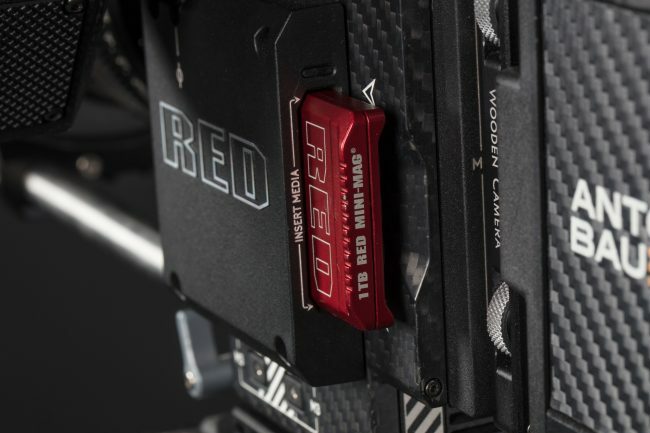 RED added thumb screws to the DSMC2 monitors, eliminating the need for screws and hex keys. Just like the old monitors, there are shortcut and menu navigation buttons on the side. One of my favorite features of the new DSMC2 bodies is the easily-swappable OLPFs. For those of you who are unaware, OLPF stands for optical low-pass filter. It sits between the lens and the sensor, preventing aliasing and moire by very subtly softening the image. RED’s OLPFs also slightly affect the tone of your image by blocking IR pollution and prioritizing some color tones over others. The optimal mix of color tone priority can vary depending on your shooting environment, so RED makes multiple OLPFs that can be easily removed and replaced in the field. Our DSMC2 brains ship with the Standard OLPF by default, and we have the Skin Tone-Highlight and Low Light Optimized OLPFs available as separate rental items. 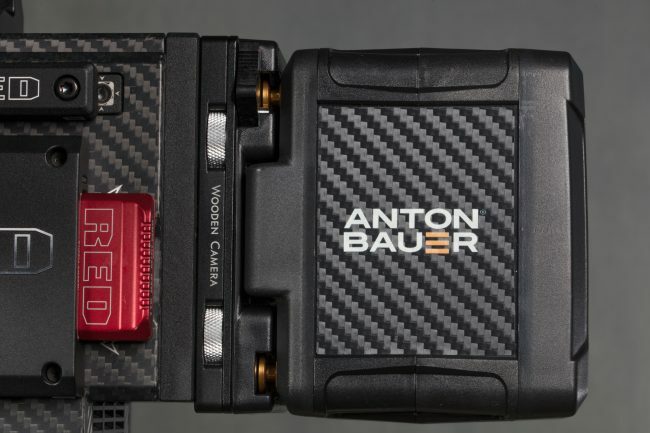 The new DSMC2 viewfinder is also cable-less and features a prominent skull logo, which is pretty sweet, bro. 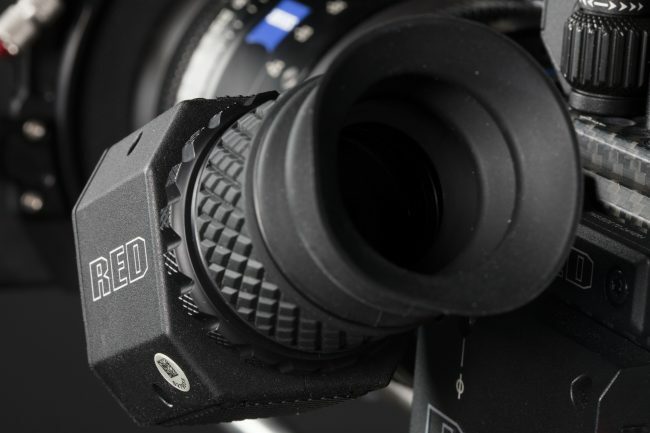 The DSMC2 EVF also features two user-definable buttons and an adjustable diopter. With the addition of a pogo connection on the rear of the camera, it’s finally possible to transmit power from a third-party battery plate without running a cable into the DC port. These cable-less battery plates from Wooden Camera eliminate the need for extra wiring and facilitate battery hot swapping by allowing you to plug the camera into house power with a battery plate still attached. They’re only compatible with DSMC2 brains. Cable-less battery plates make for a cleaner setup and give you the ability to use battery power and wall power at the same time. 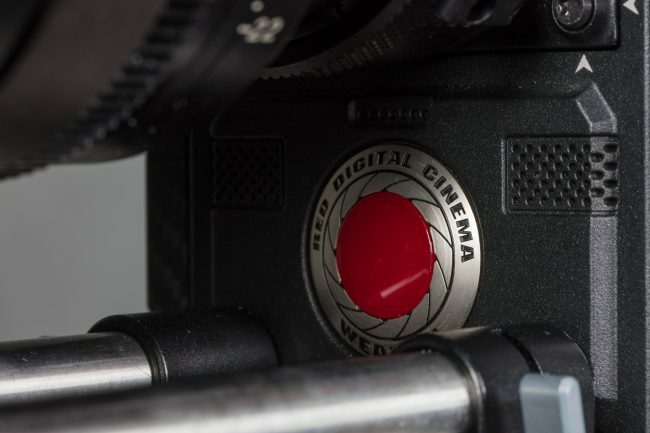 First of all, the old RED side handle won’t work with the new DSMC2 brains. Instead, you have two different options: the Sidekick and the DSMC2 Side Handle. Once installed, the Sidekick sits almost flush with the camera body. We carry both the Magnesium and Carbon Fiber versions. It has a 1.7” OLED screen with a rotary dial, d-pad, four user-configurable buttons, and menu and mode buttons. Anything you can set or control from the camera’s touch LCD, you can also set or control from the Sidekick. It’s indispensable if you’re working with a camera assistant. The DSMC2 Side Handle, on the other hand, is meant more for single users. 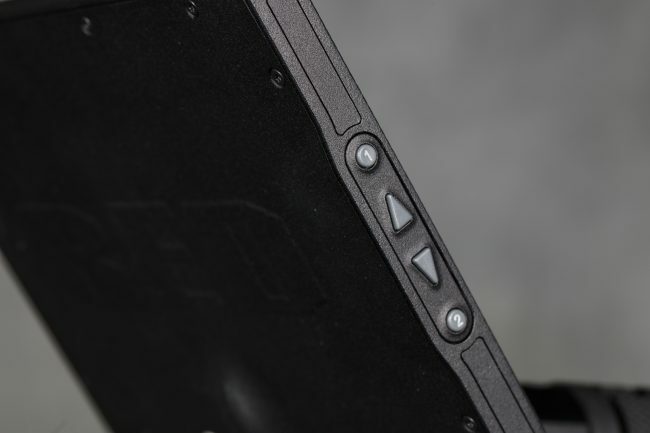 Like the old side handle, it has 4 user-programmable quick keys and a record button. Above the record button is a mark frame button for noting particular clips or stills. Most-interestingly, there are two scroll wheels on the handle. One controls iris while the other, in front of the record button, right around where your index finger would sit, is meant to control focus on lenses with focus motors (most Canon and Nikon still lenses, for instance). Since we don’t have them in yet, I can’t speak how well this feature works or how many lenses it’s compatible with, but it is promising. We’ll be sure to test it out as soon as they arrive. 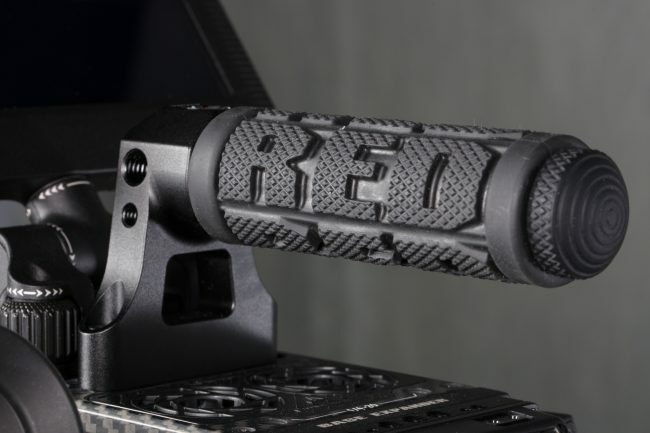 RED’s DSMC2 top handle feels really sturdy and has a rubberized grip for better traction. There’s also a start/stop trigger on the top handle. 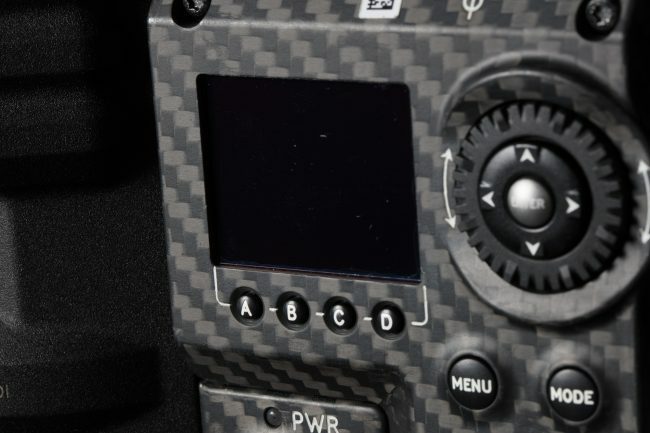 The DSMC2 Sidewinder has the familiar user shortcut buttons and menu navigation tools, plus a small LCD for displaying camera settings. That’s about it! I think this new DSMC2 system is a huge step forward from RED, and I’m really looking forward to working with it more. If you have any compatibility questions or need help to put an order together, feel free to give us a call at 901-754-9100, and we’ll be happy to answer any questions. Awesome! I’d love to shoot for a few weeks with one of these babies . . . but then I’d need an expensive new computer to handle the video. I guess if I can afford the rental I could afford a few grand for a new computer though.